MORE TOUGH DECISIONS lie ahead for Finland. That much is evident in from a report drawn up by the permanent state secretaries of different ministries in order to draw attention to the key questions faced by the next government during its term in office between 2019 and 2023. “Difficult, expensive and unpopular decisions will also be needed. By participating in the public debate, we want to support the capabilities needed to make them. It is possible to create space for difficult decisions by engaging in an open and knowledge-based debate that takes all population groups into consideration,” they state in the report titled Mahdollisuudet Suomelle (Eng. 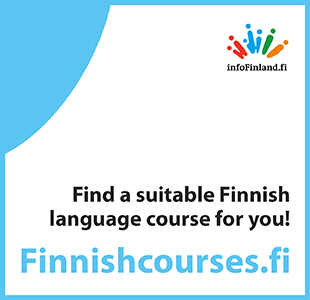 Opportunities for Finland). The high-ranking officials emphasised that the government is responsible for securing the sustainability of public finances and, if it is intent on maintaining the welfare state, must carry out massive reforms in the 2020s. “The long-term financial stability of the public economy has increased in recent years, but the revenues will not suffice to maintain all the functions and structures of the public economy that have been supported by faster economic growth and more favourable demographics. The unbalance between fixed revenues and expenditures threatens to spiral indebtedness out of control,” they say. Finland, as a result, is likely to face its next recession in a worse financial position than before. The gap between revenues and expenditures is set to widen further due factors such as demographic changes that raise pension and social and health care costs, major infrastructure projects and efforts to combat climate change. There are nonetheless means to influence the development, according to the state secretaries. The next government should take action to, for example, raise the employment rate, enhance the productivity of the public sector, influence the population structure, and either raise taxes and contributions or slash benefits and services. Martti Hetemäki, the state secretary at the Ministry of Finance, also published a list of 10 observations about differences between the Finnish and other European economies. Finland, he pointed out, reported the fourth lowest employment rate for men in the best working age in the OECD in 2017, after Greece Italy and Spain. While 20 per cent of 25–34-year-old men were unemployed in Finland in 2017, the corresponding percentage stood at 16 per cent in Germany and 10 per cent in the United Kingdom. The OECD has also reported that the debt-to-GDP ratio stood at 60 per cent in Finland, but only at 37 per cent in Sweden and 35 per cent in Denmark in 2018. Current account balance as a percentage of public debt, in turn, was 0.5 per cent in Finland, 2.5 per cent in Sweden and 5.5 per cent in Denmark, highlighted Hetemäki.